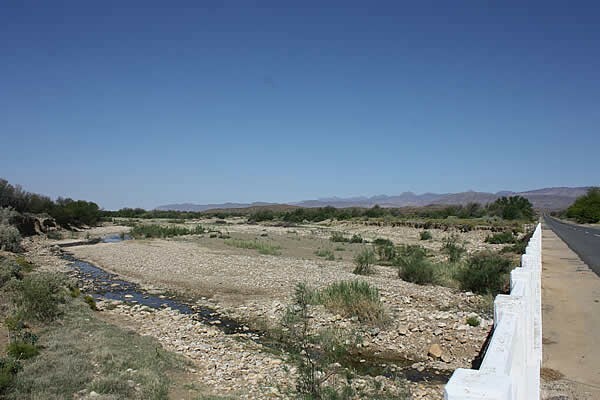 Prince Albert is situated at the foot of the Swartberg Mountain range and is blessed with a perennial water supply which belies the reputation of this arid region. The Swartberg Mountain range is a World Heritage Site and part of the Cape Floral Kingdom, boasting the greatest number of plant species, particularly fynbos, in the world. The climate is superb with an extremely high sunshine index, spectacular night skies and pure clean air. 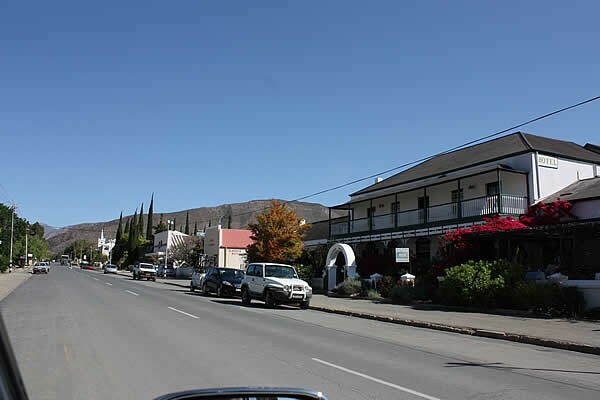 The village is a well preserved gem, with water furrows and beautifully preserved Cape Dutch, Karoo and Victorian buildings – thirteen of which are listed National Monuments and there are a further five in the district, including the Swartberg Pass and Gamkaskloof (The Hell). The village has undergone a recent growth spurt and is fast becoming a much sought after tourist destination. 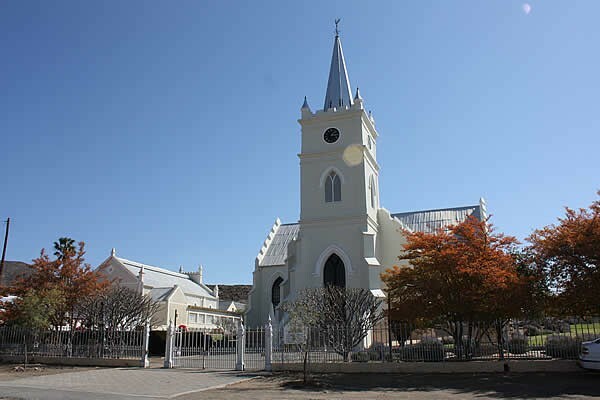 Prince Albert is world renowned for its sun-ripened fresh and dried fruit, particularly apricots and figs. Karoo lamb, olives, olive oil and home-made cheeses are other delicious local delicacies to entice visitors. Prince Albert is also at the centre of the mohair producing region of South Africa and boasts being home to champion breeders of Angora goats. The village has wonderful mohair products on sale for chilly winters and colourful summers. The region is emerging as a quality wine producing area and has been incorporated into the Klein Karoo Wine Route. Prince Albert has one of the oldest and last remaining working watermills in South Africa. Engineered by Thomas Bain the twenty-seven kilometres of gravel road wind to a summit of 1 583 metres above sea level in steep zigzags and sudden switch-backs with breathtaking views at every turn. The road is supported in places by hand packed stone walls. Along the way there are relics of an old stone prison used to house the convicts that built the pass, as well as other historical points of interest. Construction began in 1881, was completed in 1887 and was officially opened to traffic in 1888, ahead of schedule. It actually cost £14,500, which was under budget (under budget and ahead of scedule - what a model for to-day!). The old toll house still stands today and toll fees in 1888 were four pence per wheel and one penny per animal. The village of Prince Albert sprang from the loan farm Queekvalleij, established by Zacharias and Dina de Beer in 1762. The fertile valley soon attracted other farmers, church services were held on the market square and by 1844 an NG church had been built and a thriving community established. 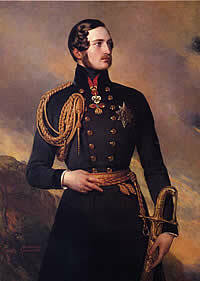 In 1845 some parishioners suggested that the village be named Albertsburg after "Naar zijne Hoogheid" - his Royal Highness, Prince Albert, Queen Victoria's consort. The Governor's approval was granted in July and the village became known as Prince Albert. By 1855 our weekly market had been established and Bishop Robert Gray - the first Anglican Bishop of Cape Town, visited the village and found it "very beautifully situated at the foot of the Zwart-berg mountains." In 1857 a reading room was established, leading to the opening of our library in 1862 - one of the earliest in the Cape Colony. Queen Victoria sent a book of Prince Albert's speeches to the village in 1867, this can now be seen at the Fransie Pienaar Museum. Sadly the original library burnt down in 1949 but ten years later our new library was opened - please visit to see a permanent display about the village compiled by our librarian. The new NG Kerk in Kerkstraat was consecrated in 1865 and the following year Ds Adriaan Hofmeyer replaced the small organ with the splendid instrument currently in use. Annie Luttig was appointed church organist in 1892 and held the post for 58 years. In 1881 construction began in the Swartberg Pass but it was only in 1883, when Thomas Bain took over the project, that work started in earnest. In 1886 the pass was opened to the public - but at their own risk, as construction was still under way. The post-coach left the Prince Albert Hotel every morning at 6.00am, on one occasion the driver stopped at the little settlement at the top of the pass for a cup of coffee and returned to find his coach gone - the horses had headed back towards Prince Albert and the warmth of their stable. 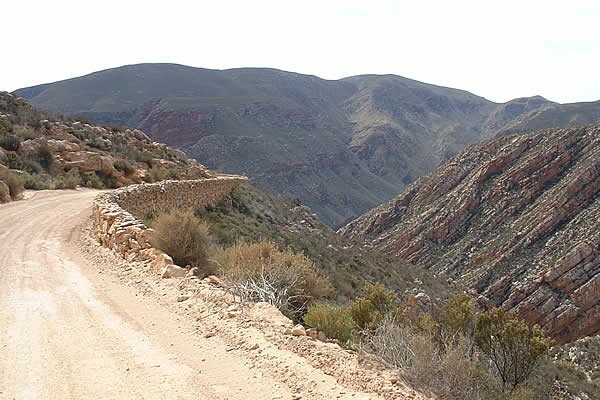 The Swartberg Pass was officially opened on 10th January 1888. In 1904 Dr Russell from Oudtshoorn drove the first motorcar over the pass. In 1891 a shepherd found a gold nugget on the farm Klein Waterval and the Prince Albert Gold Rush started. Enthusiastic miners predicted another Witwatersrand but only 504 ounces of gold were mined from the 1042 registered claims. Relics of the goldrush can be seen at our museum. The Anglo-Boer War broke out in 1899. A British garrison was established here and there were a few skirmishes between commando's and troops in the area. Boer Commandant Gideon Scheepers was taken captive on the farm Kopjeskraal and later executed in Graaff-Reinet. Boers seized the mail-coach horses near Botterkraal in 1901. 1912 saw the first issue of a weekly newspaper, The Prince Albert Friend/De Prince Albert Vriend which was published in Dutch and English - the tradition continues, buy your copy of our monthly newspaper at the Tourism Association Office. 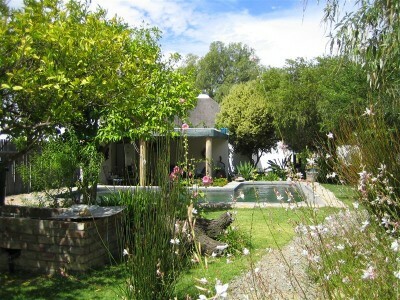 Nestled at the foot of the majestic Swartberg Mountains is the quiet and serene village of Prince Albert. 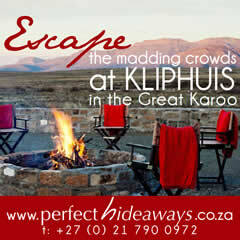 Here time is suspended in the dry and crisp Karoo air. 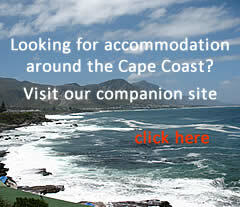 We are centrally situated in the historic heart of the delightful village of Prince Albert, Western Cape, South Africa within walking distance to all the restaurants, art galleries, antique shops and places of interest. Constructed in 1835 as a farmhouse, this is the oldest building left in Prince Albert and, together with its associated outbuildings, has been restored and converted into excellent guest house accommodation.